People living in growing urban centers around the world face a variety of risks today related to climate change—storms and extreme weather, sea level rise, water availability are a few of the kinds of risks to people´s lives, livelihoods, and property. When these risks materialize they can be costly. For example, Hurricane Katrina caused around USD 125bn in the wider New Orleans area when it made landfall in August 2005. Today, we primarily manage risk through insurance. We pay in advance to receive financial protection against future uncertain and potentially larger costs. The insurance industry (and sometimes society) offers us this financial protection. In some cities, trees, water systems, and other ecosystem services are increasingly viewed as resources for managing risks of climate change. For example, in coastal areas in tropical zones, mangroves reduce the overall impact of storm surges, reduce coastal erosion and other risk factors to cities. Coral reefs play a similar role of buffering strong wave action and protecting vulnerable coastal settlements. Such ecosystems provide an important source of buffering and risk reduction. Resources to protect and restore ecosystems can be generated through a variety of insurance tools, like parametric insurance approaches (trigger-based insurance payouts happen when when a parameter like rainfall or wind speed reaches a certain threshold). Such tools can be combined with early warning systems linked with special training for urban populations on reducing risk to property and life. In case of an approaching storm, affected people would receive a prior warning and by applying knowledge gained through their training, secure their belongings effectively and relocate to a safe area. This scenario would reduce the overall damage to their livelihood, while ensuring their eligibility for a payout if the storm crossed the predefined thresholds. The insurers we talk to emphasize the importance of risk reduction. By already reducing your risk through early warning systems and climate proofing infrastructure, you can better withstand the medium-frequency impacts and still get a payout from insurance in cases where damage exceeds what individuals can cope with. Some insurers even apply clauses in their policies that require insurance holders to exercise risk reduction. This way a track record of effective risk reduction action could also lead to a reduction of insurance premiums in the long run. Our research shows that it’s not enough for people to just receive payouts, the support they receive needs to be more holistic for them to be resilient in the face of climate change and other challenges. Insurance basics: How does one best approach risks of different magnitudes and frequencies? The very frequent and less severe risks (25 years). These risks can only be addressed through insurance and other forms of risk transfer because they usually far exceed the coping capacities of the individuals at risk. However, insurance alone is not enough. 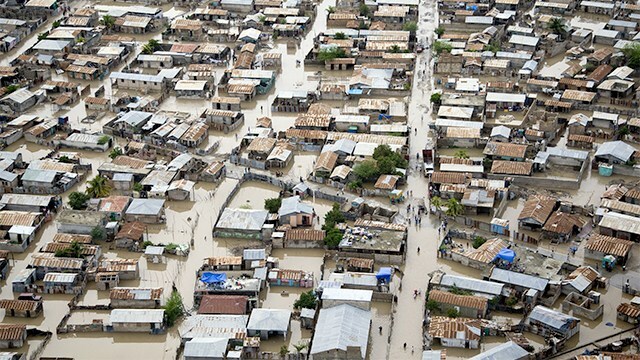 In the case of extreme but infrequently occurring risks, insurance approaches that are organized as public-private-partnerships, such as an insurance solution connected to a social safety net programme, might be able to provide better and more comprehensive protection. Such a solution would combine the strengths of all actors and divide the risks among many stakeholders. However, the important issue to keep in mind is to always link whatever insurance approach selected to a comprehensive risk management approach.